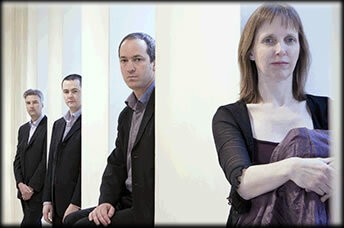 'Journey's End' from ‘The Pilgrim’s Return’, Gerard McChrystal (sax) and The Smith Quartet. Violins: Ian Humphries & Darragh Morgan. Viola: Nic Pendlebury. Cello: Deirdre Cooper.